If you're one of those people who will drive out of the way just to save a penny a gallon for gas, Google Maps is calling your name. You should notice changes to Google Maps over the next few weeks as an update starts rolling out. One new feature is the inclusion of gas prices to the map so you can see which nearby station is selling unleaded gas at the cheapest price. Think about how useful this information will be, and how much money you might save. Another new feature allows you to make a detour in the middle of navigating from point "A" to point "B". Let's say you are navigating to a hotel when you decide to stop and pick up some supplies. Clicking on the magnifying glass in the top right corner will give you a drop down menu with gas stations, restaurants or grocery stores among the categories to choose from. In this situation, clicking on grocery stores will help you find the closest place to pick up some drinks and snacks. If the categories listed on the drop down menu are not what you're looking for, you can always use voice control, or the search bar, to help you navigate your way from point "A" to point "B" with that little detour in the middle. Seriously! It's about time something like this was built into Google Maps! I doubt it. Gas buddy has real time gas prices, quoting 4 different prices and offers a daily prize of $100 to the winner chosen for the day. Google doesn't currently OFFER this. 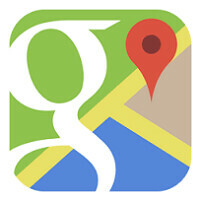 Gas prices sometimes change 2 to 3 times a day at gas stations, and how is Google Maps going to incorporate this. They still have a map of my house in Google Maps showing a 2013 date with no grass on the ground. (real time gas prices--really) So I don't think Gas Buddy has anything to worry about considering you do not want to access Google Maps just to see the gas price of stations in a mile radius from your house without needing directions to get there using Google Maps.